This upper assembly from Midwest Industries is just the ticket for your next modern sporting rifle build. Chambered in .223 Wylde, it is designed to get the maximum accuracy from the widest range of ammo, from 5.56 NATO to .223 Remington and from light to heavier bullets. 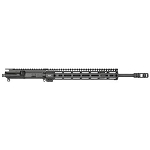 It features a 16" barrel with a harder-than-chrome nitride finish inside and out, a two port Midwest Industries muzzle brake to reduce felt recoil and muzzle lift, and a lightweight M-LOK compatible handguard. 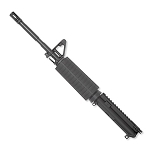 This AR-15 upper assembly does NOT include the bolt carrier group or charging handle.